The green landscape around Abebech Angelo's home in Agaza Duge village near Boditi town, 370km south of Addis Ababa, belies the food shortages that southern Ethiopia is facing. Reports by the Famine Early Warning System Network (FEWS Net) and the World Food Programme (WFP) say the rains in the country's cropping areas were below normal this year. Farmers who had prepared their land could only sow 50-70 percent. Even where they planted crops, the harvest was lost due to erratic rainfall. "The current hunger season is particularly severe and will be longer than normal this year," FEWS Net said in an overview of the country's food security. Damot Gale, where Abebech's village is located, was one of the hardest-hit districts in the Southern region. 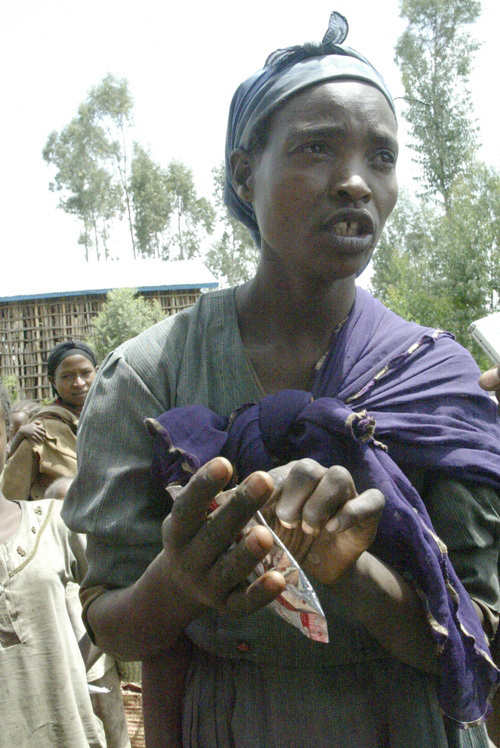 Along with severe food shortages, the area is also experiencing rising malnutrition. Abebech and other women like her have lost children to malnutrition-related illnesses and say they are concerned about the surviving ones. Many are being sustained by therapeutic food distributed by aid agencies. The UN Children's Agency, UNICEF, estimates that 242,000 children under the age of five from 309 districts in Ethiopia will suffer from severe acute malnutrition (SAM) this year. Over the past months, increased numbers of SAM cases have been reported from Southern Nations, Nationalities and People's Region (SNNPR), Oromiya and Somali regions, UNICEF said in a humanitarian update on 7 August. One NGO that has been providing therapeutic food is the Irish charity, GOAL Ethiopia. Abebech's twins, Nuhe and Mekeb, for example, relied on Plumpy'nut therapeutic food that the charity distributes. The food tastes like sweetened peanut butter and is made from peanut paste, vegetable oil, sugar, milk powder, vitamins and minerals. 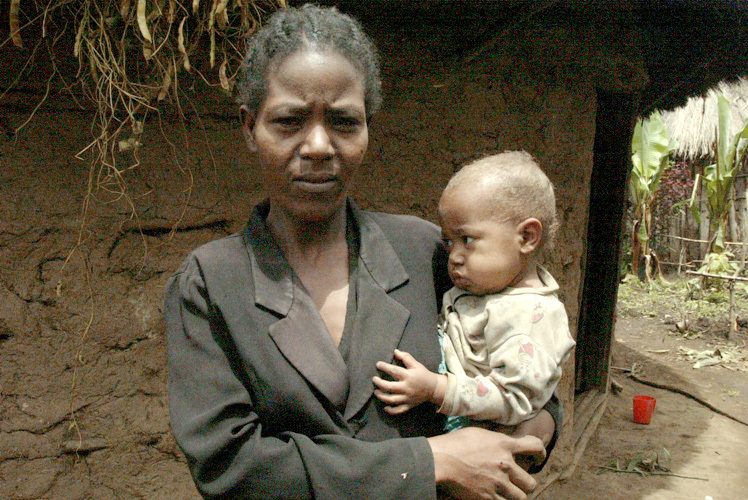 Abdo Shafi, a child health coordinator at Alaba special woreda health bureau, said a shortage of "routine medications", such as gentamicin and crystalline penicillin, had also caused difficulties in the treatment of severely malnourished children with medical complications. Shortage of medicines also posed a threat to the fight against malaria, which exacerbates malnutrition. In Alaba, for example, most of the children admitted to the stabilization centre often had malaria. Health officials said the combination of malaria and malnutrition was common in hotspot areas of the Southern region, such as Sidama, Wolayita and Hadiya. A critical water shortage has been reported in parts of Somali Region, particularly in Warder, Gode, and parts of Afder and Shinile zones. According to the UN Office for the Coordination of Humanitarian Affairs (OCHA), the onset of the dry season has followed the poor performance of the rains. "Local communities are reporting that the situation is unusually bad as there is no water in the areas to which they usually migrate during the dry season, while water shortages are also occurring much earlier than usual," OCHA said in a humanitarian update on 10 August. "Humanitarian partners are increasingly of the view that water tankering operations, although expensive and unsustainable, are required in the driest areas, alongside more sustainable interventions, including rehabilitation of boreholes and birkads [water catchment pools]."